Is your oven is in need of a bit of TLC? Get rid of all your domestic oven cleaners and just leave the hard work to us. 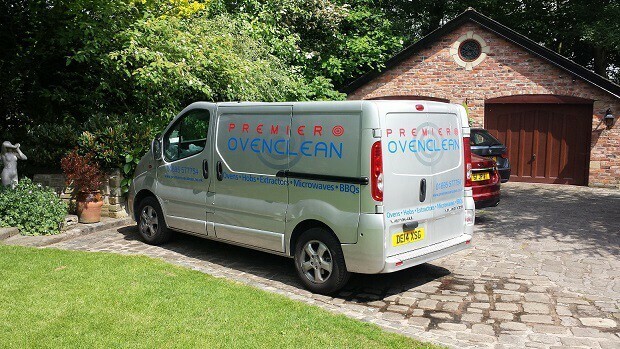 Premier Ovenclean launched in 2003 and is one of the UK’s first and most successful oven cleaning services. As a leading professional oven cleaning company, we currently provide a professional domestic and commercial service to thousands of satisfied customers across Liverpool, Warrington, Wigan, Merseyside, Lancashire and the surrounding areas. Click Here to Book Your Liverpool Oven Clean Now! As a cleaning specialist, we use a unique, cutting edge and 100% fume free oven cleaning system exclusive to Premier Ovenclean. This system has been specially developed and perfected using all of our experience, to bring professional oven cleaning into the home with little hassle. It ensures that you are not only getting the deepest and most thorough clean, removing old stains from your appliance that may have previously seemed permanent, but it is also done in a way that is safe and free of dangerous chemicals. With Premier Ovenclean you will be guaranteed a safe and healthy environment when our skilled engineers clean your ovens and other kitchen appliances from the grime, fat and burn deposits. 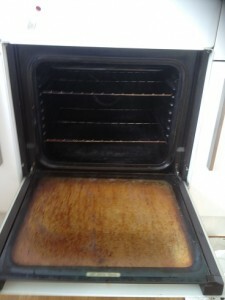 Oven cleaning in Warrington, Ormskirk and other Merseyside areas is in high demand and so we have a vast experience in using only the safest solutions. We use a range of 100% fume-free, caustic-free cleaning solutions that are specially formulated to give the best results without unnecessary abrasion. Not only does this make them suitable for a whole range of appliances and materials (such as electric, gas and ceramic hobs), it also makes for a safer kitchen. Once a cleaning job is complete, you will be able to use your kitchen straight away with no mess, no fuss, no chances of contamination. Even if you keep a regular cleaning regimen in your home, maintaining these appliances at their maximum quality can be a challenge, particularly when finding the right products that will not damage your expensive interiors. Hiring somebody to give your kitchen a professional clean every so often is like pushing a reset button – you will notice the difference. Many of our previous clients have commented on the feeling of getting a brand new oven, hob or kitchen, without the added cost of a refurbish. Other comments include the renewed sense of ease and enjoyment when using their oven or hob – the removal of dirt and build-up boosts your appliance’s functionality and puts the fun back into cooking. Premier Ovenclean realises that the kitchen can be one of the hardest places to clean with areas like the stove, the microwave, the oven and extractor being some of the worst places for dirt, grease and grime to build up in. Even if you keep a regular cleaning regimen in your home, maintaining these appliances at their maximum quality can be a challenge, particularly when finding the right products that will not damage your expensive interiors. Wether you need oven cleaning in Ormskirk, Warrington or any other area around Liverpool, our professionals can come to you and take care of the problem no matter how difficult the job might seem. 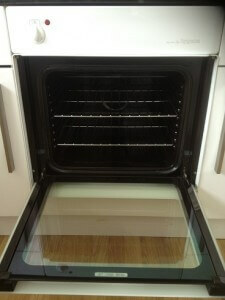 Click Here to Book Your Oven Clean Now!